A man finds an abandoned cistern in a remote desert location. If you are planning on murdering your business partner, this would be a perfect place to hide the body. Henry Kuttner's second Elak of Atlantis tale appeared in the July 1938 issue of Weird Tales and this time snagged a pretty awesome Virgil Finlay cover. The first Elak story had ended with the hero accompanied by the woman he'd fallen in love with, so "Spawn of Dagon" is probably set earlier in Elak's life. The girl is nowhere to be found, though another beautiful damsel in distress is in need of rescuing. Elak and his perpetually drunken sidekick Lycon begin the story looting the corpse of a city guard they had just killed. Lycon falls into a drunken stupor at a a really bad moment, forcing Elak to carry him while fleeing from still more guards. They are helped by a guy named Gesti, who takes them into an underground labyrinth and is soon offering Elak a job: kill a wizard named Zend and destroy the red sphere that is the source of Zend's magic. With Lycon still drunk, Elak takes on the job alone. But after entering Zend's home through a secret passage, he encounters difficulties. Among these difficulties are a disembodied head that shouts out warnings of intruders and a massive minion whom Zend recognizes as a recently executed criminal. Despite his recent death, thuogh, the criminal is still walking around. But these difficulties are nothing compared to the fact that Gesti--the man who hired Elak... well, he isn't really a man. And having Zend killed is actually the first step in a plan to destroy humankind. So Elak soon realized he's on the wrong side. "Spawn of Dagon" is a great story: exciting and atmospheric, with humor effectively peppered through throughout tale. The character of Lycon is used very effectively. He seems worse then useless at first, but proves his loyalty and occasional usefulness at the story's climax. 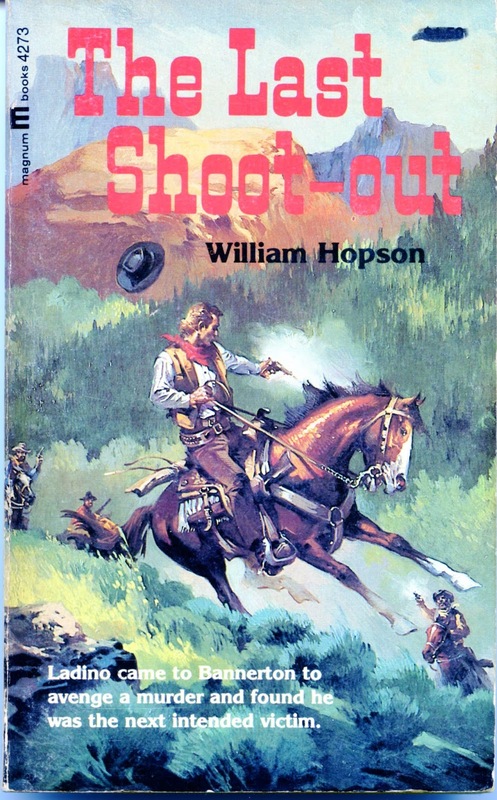 As I mentioned earlier, this story seems to take place before "Thunder in the Dawn." I like continuity in my fictional universe, so it's tempting for me to theorize about the chronology of Elak's adventures. But sometimes it's better to treat a series of tales about a particular hero as a series of mythic legends that don't require an internal chronology. Film director George Miller has this attitude about the Mad Max movies. I recently had an online discussion in which someone made a very good case for looking at the original Conan the Barbarian stories this way rather than paying attention to any of the suggested chronologies that have been published over the years. Perhaps it's best to look at the Elak stories the same way. I'll use my authority as an obscure blogger with a tiny readership to adjudicate on this after we've looked at the last two stories in the series. It seems poor Adam Strange never gets to just spend a quiet day with his girlfriend when he arrives on the planet Rann. There's always a disaster of some sort he needs to deal with. 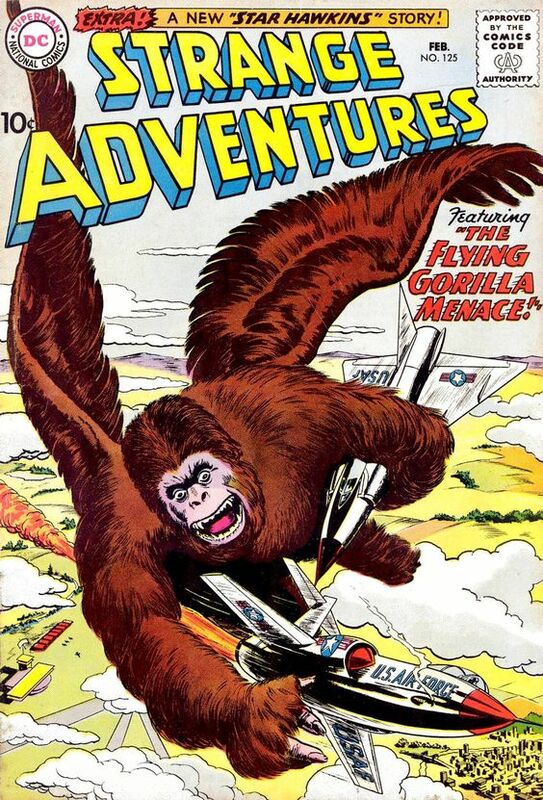 For instance, in Strange Adventures #222 (Jan.-February 1970), the latest Zeta Beam brings Adam back to Rann, but he lands right smack in the middle of a war. People around him are fighting to the death. And his side seems to be losing. And his gal is being kidnapped. NONE of this is the recipe for a fun date night. The story, by the way, was written by Denny O'Neil and drawn by Gil Kane. The bad guys are Reekahs, a race of barbarians who have short-term super-speed in addition to their robot unicorns. They get alway with Alanna and a few other hostages, offering to release them only if supplied with modern weapons. But if they get the weapons, their fortress will become impregnable and they will become unstoppable conquerers. In fact, their fortress already is impregnable. So how does one get inside the walls? Adam has an epiphany--What if they leave a gift for the Reekahs just outside the fortress? This sounds just like the Trojan War, doesn't it? I like the nice twist that O'Neil gives the story here. The people of Rann leave a ship outside the walls as tribute. But the Reekahs tumble to the fact that its a trick. 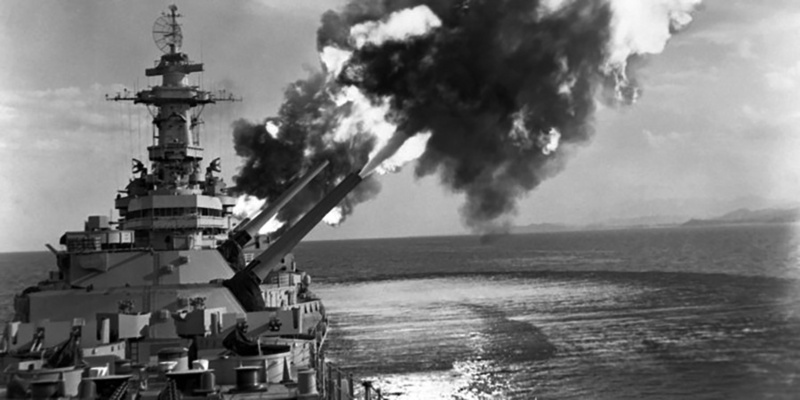 Their leader orders the ship destroyed. But Adam had figured on this. The ship, in fact, is a double-bluff. When it blows up, it releases a gas that weakens the Reekahs and takes away their super-speed. Adam leads an attack force into the fortress. The bad guys are defeated and the hostages are saved. But this takes a little too long as far as Adam's love life is concerned. He teleports back to Earth after he and Alanna have time for one brief hug. Gil Kane's art looks fantastic, the robot unicorns are cool and the plot twist involving the double-bluff Trojan ship is a good one. 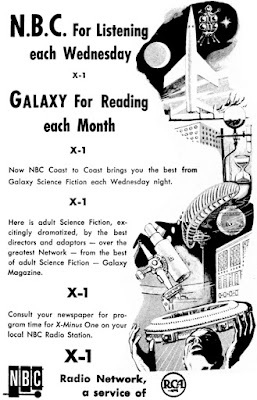 This is a solid and entertaining science fiction adventure. Next week, we visit again with Turok. I've got a back log of Turok issues I've been meaning to review, so please remember--you can NEVER have too many dinosaurs! 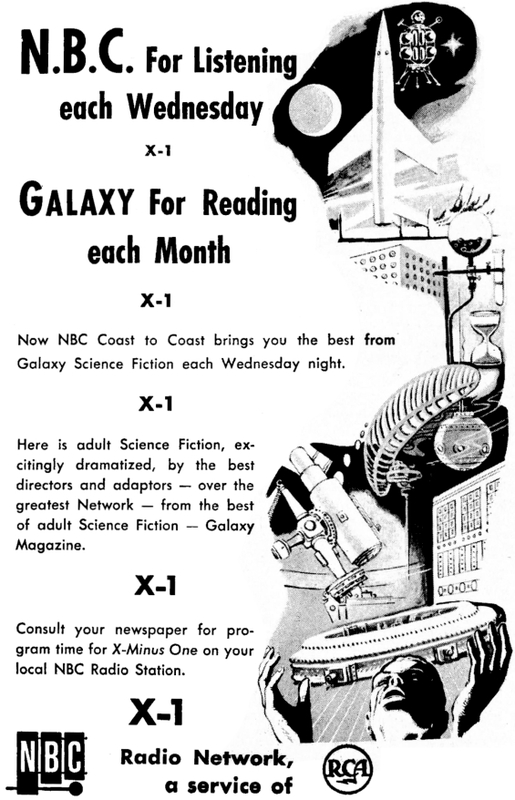 From 1961. A wonderful cover by Sid Greene. I've written another article on OTR. On February 17, 1864, the H.L. 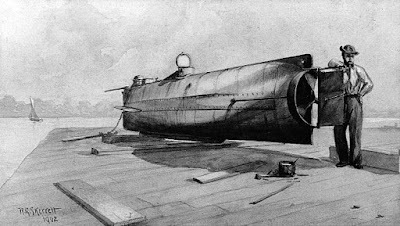 Hunley, a primitive Confederate submarine, launched an attack on one of the Union warships blockading Charleston harbor. This is the tenth of 17 episodes from various series that will take us through the Civil War and its immediate post-war legacy. I'll be posting another Civil War episode every three or four weeks. Hanna-Barbara pretty much ruled Saturday mornings in the 1950s and early 1960s. That was the studio that developed the concept of Limited Animation in order to force production costs down low enough to be profitable for television. An fan of animation at the time might have justifiably thought that this would be the death knell for the art form. And it is fair to aim some constructive criticism at the idea. There is a lack of smoothness to the animation and it can be really, really noticable when Fred Flintstone runs past the same table and chair six times in a few seconds. But the Hanna-Barbara cartoons are classics in their own right despite the limited animation. Why? Because of clever writing and wonderful characters. 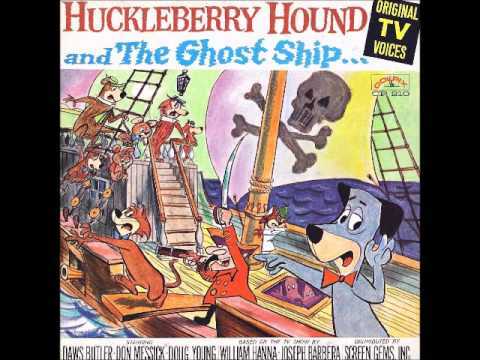 A syngergy of writing, character design and voice acting (by brilliant voice actors such as Daws Butler and Don Messick) gave us Yogi Bear, Huckleberry Hound and a bevy of other memorably, funny and engaging characters. So the H-B cartoons were a hit and merchandising off-shoots were inevitable. The best of these off-shoots might just be a series of records featuring these characters produced between 1958 and 1967. Some of these used the voice tracks from the cartoons, with a narrator added to describe the action. But some were original stories, with Butler, Messick and other actors bringing the characters to life in brand-new stories. The best of these is arguably Huckleberry Hound and the Ghost Ship, in which Huck, Yogi, Boo Boo and a few other characters decide to go on a fishing trip. In the book Daws Butler: Character Actors, writers Ben Ohmart & Joe Bevilacqua describe the record: "The writing is much more fluid and complex than the TV cartoons, the jokes sharper, the word-play more intricate. And the characters better integrated into each other's lives." 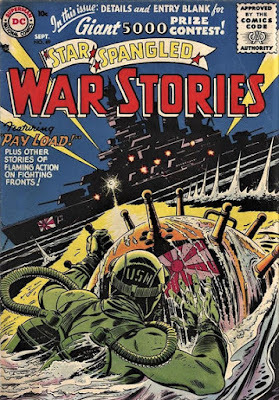 A lot of DC Comics' war stories from the Silver Age were driven by gimmicks. The protagonist (often a one-shot character who might not even necessarily get a name) has a character quirk, phobia or unique incident from his past that will be the driving force of the story. 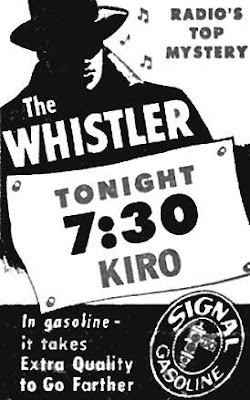 This is the case with "Battle Beat," which appeared in Star-Spangled War Stories #56 (September 1956). A former cop is now a military policeman. Back in the States, he had walked a lonely beat where nothing much every happened. Now he's patrolling a bombed-out village in which nothing much is happening. I've said it before and I'll say it again: If you live in a Comic Book Universe, DON'T TEMPT FATE. Don't say there's no chance of the supervillain attacking. Don't say that vampires don't exist. Don't say the dinosaur frozen in the iceberg won't come back to life. In fact, just play it safe. Don't every say anything. This guy moans and groans about how he's stuck in a deserted town and there's not a chance for action. That he's being shot at a moment later should be no surprise to anyone. A Nazi armored car shows up literally while he is complaining about the lack of action and starts spitting machine gun bullets at him. And this guy just DOESN'T LEARN. He takes out the armored car with a grenade and immediately starts talking about how quiet it is again. And he immediately starts getting shot at by two German soldiers. He also apparently forgot anything he learned as a cop about calling for back-up, though to be fair there's no indication he has a radio available. As soon as he kills the Germans, he literally starts thinking that the renewed quiet can get on a man's nerves. A Tiger tank then shows up. After he destroys the tank, he finally learns his lesson, thinking about how nice it will be to return to a nice quiet beat after the war. He's lucky he didn't need a V-2 rocket to land on his helmet for him to get the point. I'm making fun of the story (written by Bill Finger and drawn by Mort Meskin), but it is a enjoyable tale, staying consistant with its gimmick for its 6-page length and giving us some good action. The DC war stories were often gimmicky, but they were also entertaining. 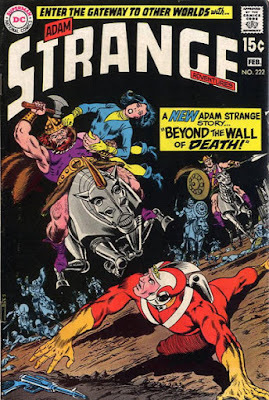 Next week, Adam Strange battles barbarians riding robot unicorns. 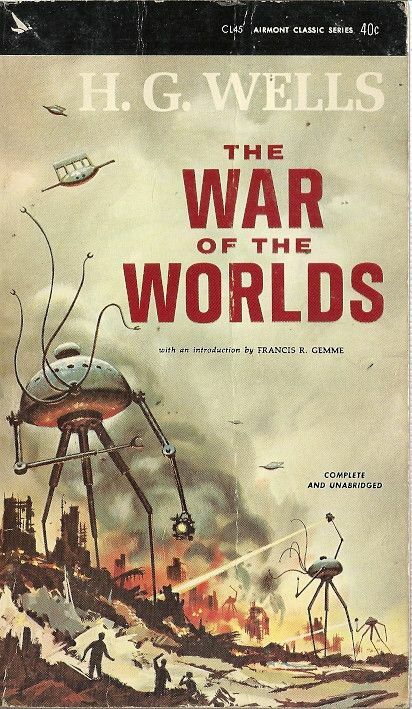 Eye-catching cover art from this 1972 edition of a novel first published in '58. 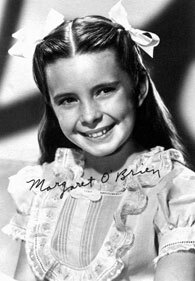 Child star Margaret O'Brien is excellent in the Ray Bradbury tale about a child who can't get the adults to believe her after she hears a woman screaming for help. Henry Kuttner was a great writer, producing a quite a large body of work despite dying relatively young at the age of 42. His stories included science fiction, fantasy, horror and even some superhero comic book scripts for DC's Green Lantern during the 1940s. One of his ventures were four sword-and-sorcery tales written for Weird Tales (three of them in 1938 and one more in 1941). These tales involve a wandering adventure with a royal background--Elak of Atlantis. 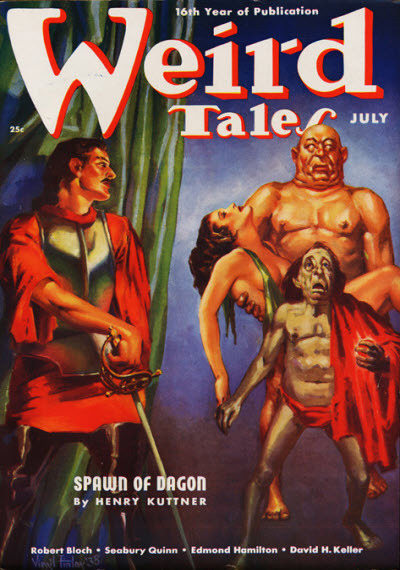 The first Elak tale was published in the May and June 1938 issues of Weird Tales. 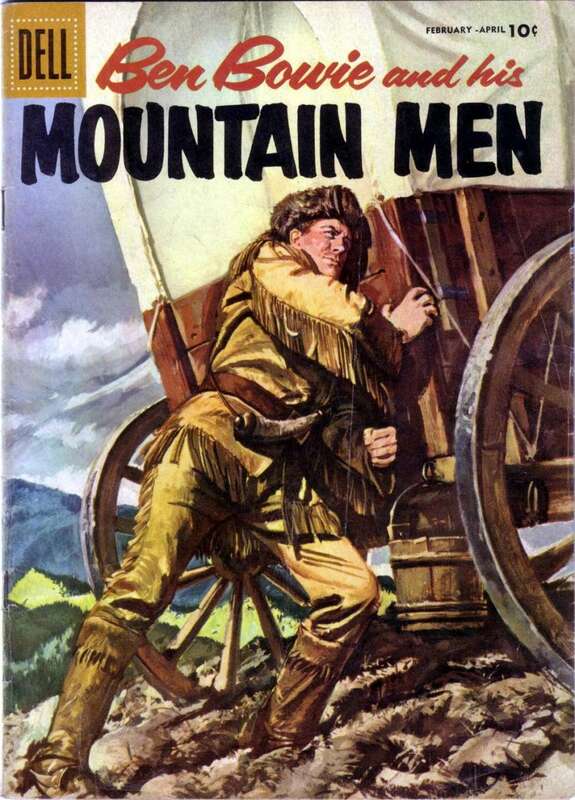 Titled "Thunder in the Dawn," it is a masterful example of world-building, includes a number of great characters (both good guys and bad guys) and includes some battle scenes that come close to equaling Robert E. Howard in their excitement. Much of the rest of the story reminds me of A. Merritt, with perhaps a dash of Clark Ashton Smith thrown in. Elak is indeed a wandering adventurer, but he was once a prince in the kingdom of Cyrena, located at the northern end of the continent of Atlantis. He left after killing his stepfather. We are never really given the details of this, though we are assured several times that it was a fair fight. Elak let his brother take the throne of Cyrena and began to indulge his wanderlust. Somewhere along the line, he gained a sidekick--a fat and perpetually drunken swordsman named Lycon. But even if Lycon drinks too much, he's intensely loyal and good in a fight. Elak had intended never to return to Cyrena, but a Druid wizard named Dalan finds him and tells him an evil wizard, backed by an army of Vikings, has taken over the kingdom and holds Elak's brother a prisoner. So Elak has to go home--he's the only one who can unite the local chieftains into an army. But before heading home, Elak insists on paying one last visit to his girlfriend Velia. The trouble with that is Velia is married to the local ruler. She's not married to the ruler by choice, but was sold to him by her family. Normally, adultery is my Berserk Button and there are few protagonists in fiction who can commit this particular sin without instantly losing my sympathy. But Velia was forced into a marriage to a brutal man who would literally skin her alive if she crossed him. So I think we can safely give Elak and Velia a pass for running off together when the husband catches them. Thus Velia is added to the group for their voyage back to Cyrena. It's an eventful trip, with Velia's husband pursuing and the wizard ruling Cyrena tossing some pretty powerful magic at them. At one point, Elak ends up in a strange dimension that is literally populated by dead gods and only escapes when someone else sacrifices more than her life to save him. All of this is being told to us in vivid and often powerful prose that brings the characters and their strange, magic-drenched world to life. And this continues throughout the novella as Elak eventually leads an army against the Viking invaders and fights a long, brutal battle. Eventually, he and Dalan journey into the lair of the evil wizard, where Elak learns one effective way of imprisoning someone is to make that person a god. It's an exciting and gripping story, the longest of the four Elak tales as it effectively introduces us to Elak and his companions, then tosses them into a bizarre and breathtaking adventure. 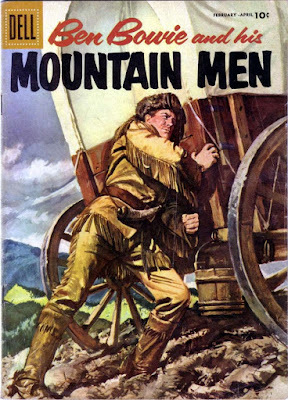 When Ben Bowie got his own title in 1956 (starting with issue #7 because of a half-dozen appearances in Four Color), he and his partners were traveling West, well away from the colonies that had been their stomping grounds. Their intent was to establish a trading post and way station that could open up further exploration and settlement of the West. So stories often featured encountering and hopefully befriending Indian tribes mixed in with a clash with Spaniards and a search for a source of salt. 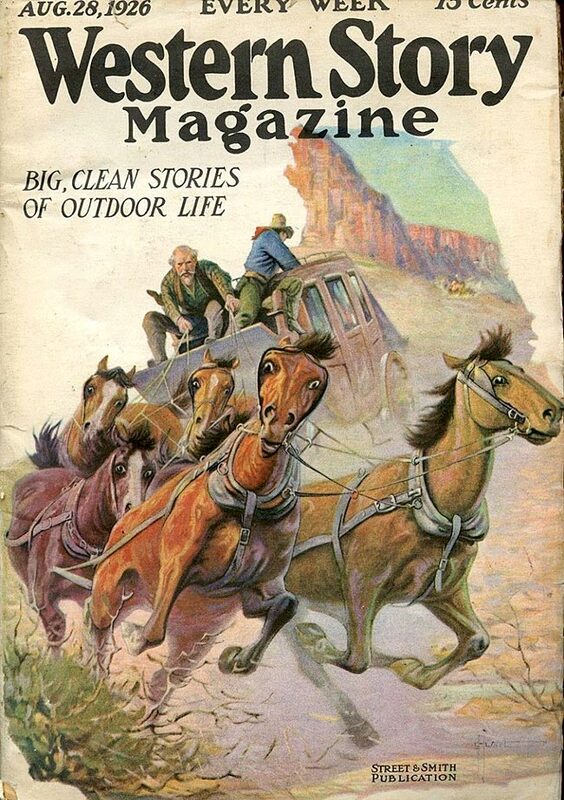 By Ben Bowie #8 (Feb-April 1957), they had hunkered down in their cabin to wait out the winter. The writer of "The Wolfpack Trail" is unknown, but he knows his stuff. What makes the following story work is the facts that the dangers of traveling through a winter wilderness are presented realistically, without exaggeration, and that the protagonists deal with these dangers in an intelligent, knowledgable fashion. The interior art, by the way, is by Albert Micale. The tale begins when an exhausted and nearly frozen man arrives at the cabin. He is the leader of a band of sixteen settlers who were trapped in the snowstorm. Leaving the man in the cabin (with heat and food--so he'll be all right), Ben and his team set out to find the settlers. But winter in the wilderness is a dangerous time. An avalanche nearly takes them out and young Jim falls into a crevasse that had been hidden by the snow. They press on, though, and eventually find the settlers by trailing a pack of hungry wolves. In a battle between muskets and wolves, wolves never win. Ben wants to immediately lead the settlers to safety, but the problem now isn't so much the weather, but a guy named Gropper. He was left in charge when the leader went for help and, boy, does he take his responsibilities seriously! That would be fine by itself, but Gropper is a self-assured jerk who is convinced he's right about everything, but is inevitably wrong. Even his name sounds obnoxious. Perhaps with a name like Gropper, he couldn't help but be a jerk. Ben tries to respect Gropper's authority and work with him, but Gropper is always wrong and eventually tries to enforce his bad ideas at the point of a gun. One can argue that Gropper as a character is too one-dimensional, existing purely for the purpose of being an impediment to the heroes. But I'm not bothered by it--Gropper's presence in the story makes sense in context and self-assured jerks to exist in real life. Despite Gropper, Ben manages to contact a friendly tribe of Indians and eventually get everyone to safety. Next week, an M.P. in World War II is given the boring job of patrolling a bombed out town. What could possibly go wrong? 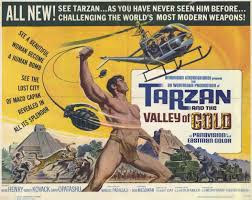 In the latest episode of the Edgar Rice Burroughs podcast, we talk about the 1966 film Tarzan and the Valley of Gold, as well as the novelization of the movie written by Fritz Leiber. From 1926. The horse at our front left looks like he's wondering if the reader knows what the heck is going on. A scientist invents a machine capable of transferring minds into different bodies. His intended use for it might not be completely ethical. My review of the story on which this episode is based is available HERE. If you are a Confederate prisoner being held in Fort Bravo--in Arizona Territory--you need to be very, very careful when making your plans to escape. Not only do you have to worry about crossing a scorching, water-starved desert... not only do you have to worry about Mescalero Apaches who will leave you staked out for the ants to devour... you also need to worry about getting on the bad side of Union Captain Roper. You don't want to get on Roper's bad side. Escape from Fort Bravo is a 1953 Western directed by John Sturges, who would go on to helm classics such as The Magnificent Seven, Bad Day at Black Rock and Ice Station Zebra. 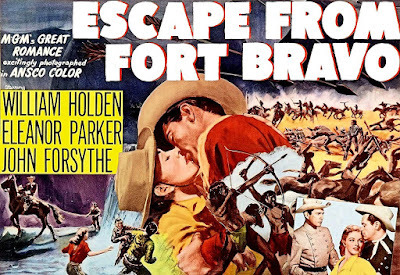 Fort Bravo, made early in his career, usually isn't listed among his classics. And that's probably fair enough. It is in many ways a standard Calvary vs. Indians story that doesn't necessarily break any new ground. But it is an enormously fun movie, nonetheless. Sturges takes full advantage of location shooting in Death Valley to make many of the action scenes look downright magnificent. And a great cast brings the story to life. William Holden is Roper. We meet him almost literally dragging an escaped Reb back to the fort at the end of the rope. Roper is a man who can respect an honorably enemy, but this particular Reb had marked himself a coward in Roper's eyes. The Reb had ridden a horse nearly to death and then had left the animal to suffer rather than putting it out of its misery. Whether or not Roper is correct in his assessment of the prisoner, his actions increase the bitterness and desire to escape among the other rebels being held there. But escape does indeed take some careful planning, especially with a brutal Indian war raging around them. The situation is complicated further when the beautiful Carla Forrester (Eleanor Parker) arrives at the fort. Supposedly there to attend the wedding of one of the officers, she turns out to have an agenda of her own. The events of the movie play out in such a way that the climax involves a small band of Union soldiers and a small band of escaped Confederates, along with Carla, are surrounded by Mecaleros. This is the best part of the movie, with a suspenseful and exciting "last stand" set piece that has quickly become one of my favorite action scenes of all time. Gee whiz, this is good stuff. I mentioned a great cast earlier. Holden is typically excellent in the lead role. Richard Anderson, one of my favorite character actors (and the future Oscar Goldman on The Six Million Dollar Man), plays an officer who dislikes Roper and his methods, but turns out to be a good soldier in his own right. 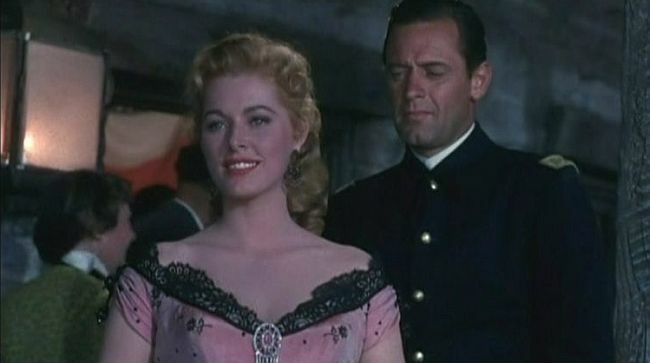 John Forsythe is the ranking officer among the Confederates. 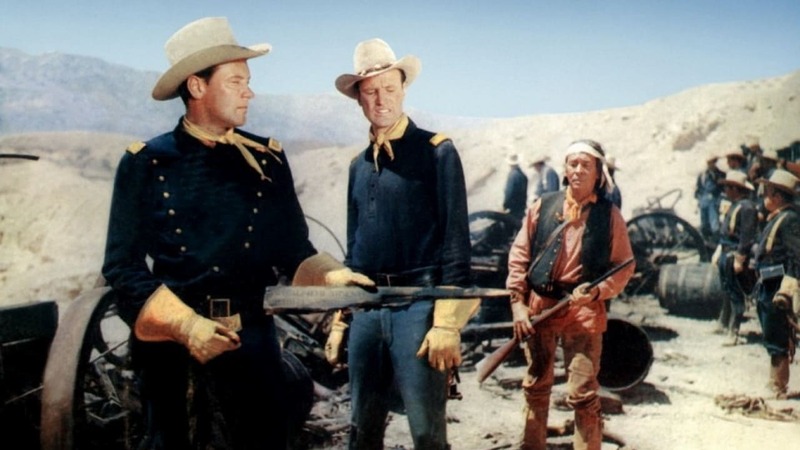 My favorite characters are two Rebs played by William Demarest and William Campbell (who would later be both Trelane of Gothos and Klingon Captain Koloth on Star Trek). The two play off each other perfectly, gripping about their situation and often insulting each other, but looking out for one another when the chips are down. These two needed to have their own movie. At the end of Marvel Team-Up #5, Spider Man is guarding an unconscious Puppet Master inside the Baxter Building. 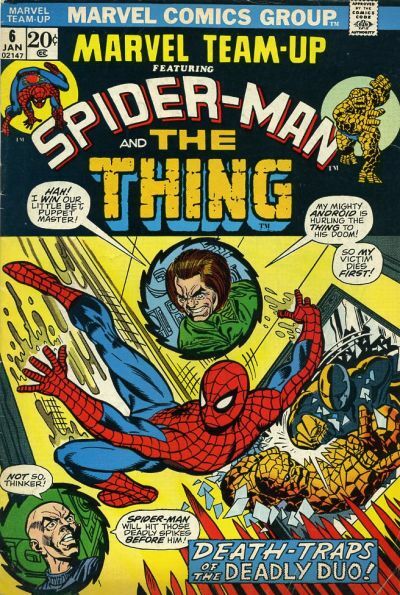 MTU #6 (Janurary 1973) picks up right from there, with Ben Grimm and his blind girlfriend Alicia Masters coming home and asking Spidey what the heck is going on? As with the last issue, this one is written by Gerry Conway and drawn by Gil Kane, with the two producing yet another fun issue. Remember that Puppet Master is Alicia's step-father. Well, we find out here that he had actually murdered Alicia's actual dad AND was responsible for her blindness. We also get hints that he is a craven moral coward, which is a theme running through his character arc in this issue. All that is fine, but some actual important plot points are laid out a sloppy fashion. Puppet Master and Alicia's dad were partners experimenting with radioactive clay, but the purpose of the experiments is never defined. It was the clay that rendered Alicia blind and, though P.M. tries to figure out how to use it to restore her eyesight, he ends up figuring out how to make mind-controlling puppets instead. Such are the vagaries of Comic Book Science. Ben has an.. um... "discussion" with P.M. and its decided to return to the ruins of his original lab and make another attempt to restore Alicia's sight. I'm pretty sure this is wishful thinking on Ben's part, but it can be said to be well within his established character. Puppet Master is leading them into a trap anyways. He has sort of sublet the land to the Mad Thinker, who has built a standard issue Underground Lair complete with Death Traps. Ben and Spidey decide to split up while exploring the lair--kind of a dumb thing for two experienced superheroes to do--and soon both have indeed fallen into Death Traps. But both are able to figure out ways out of the trap. When Alicia is threatened by one of the Thinker's androids, Puppet Master has an attack of conscience, but can't bring himself to knock out the Thinker with a wrench until Spidey shows up to help. Ben, in the meantime, takes care of the android. The story ends when the lair blows up. How did that happen? Alicia thinks that Puppet Master might have finally been overcome with guilt and done the deed himself. Of course, in a comic book universe, villains pretty much always turn out to be alive, but for the moment the bad guys seem to be dead. The last panel implies that we are supposed to feel a little sympathy for Puppet Master, though Conway does such a great job of making him cowardly and loathsome, there's not a lot of room for sympathy. It is well within Alicia's established character to feel badly for him, though, so it is a nice way to bring the tale to a close. Next week, back to Colonial America as Ben Bowie and his comrades trek through a really bad snow storm. This is an awesome cover for the classic novel. I tried to find a credit for the artist, but failed. July 3, 1863 was the High Tide for the Confederacy. 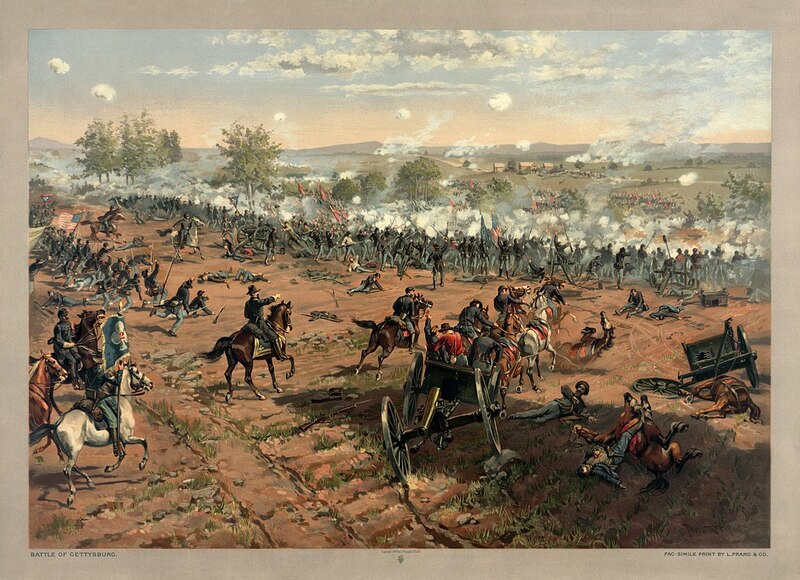 General Robert E. Lee had brought his ragged troops into Pennsylvania, where it encountered the Union army at a small town called Gettysburg. This is the ninth of 17 episodes from various series that will take us through the Civil War and its immediate post-war legacy. I'll be posting another Civil War episode every three or four weeks. I wish we had seen more of Hattie Annis. She was an eccentric, somewhat annoying and absolutely wonderful character. But she pops up in one story and then fades away into pop culture limbo. That's a pity. But perhaps a character like Hattie only works once and would become tiresome if she continued to appear in later stories. 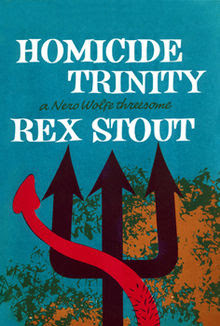 Besides, I have no idea how she would have realistically been sandwiched into any additonal Nero Wolfe mysteries. 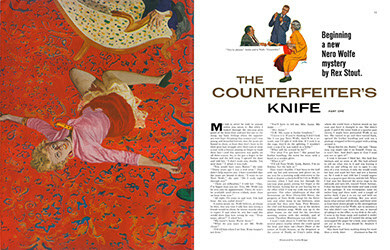 The novella in which Hattie appears is "Counterfeit for Murder," which was first serialized in the Saturday Evening Post in 1961 (under the title "The Counterfeiter's Knife") and later published with two other novellas in the 1962 book Homicide Trinity. She shows up at Wolfe's brownstone with a large package of $20 bills. Her idea is for Wolfe to find the owner and then they would split the reward. She didn't want to take it to the cops, because she doesn't like cops. And I mean she really doesn't like cops. Because after the money turns out to be counterfeit and someone tries to run down Hattie and one of the borders at her home is murdered, she locks herself in her room and refuses to allow the police in to question her. They have to break in and literally carry her from the home. Wolfe and Archie just sort of end up with Hattie as a client without really meaning to. Hattie wants to hire them to make the cops eat dirt. Wolfe interprets the job as figuring out who the killer is. The cops-eating-dirt part may or may not be a by-product of that. I like Rex Stout's novels featuring Wolfe and Archie more than the novellas, largely because there's more room to portray more of the always entertaining interactions between the residents of that Manhattan brownstone. But this one has both a good, tight mystery (involving Wolfe getting a hint at the killer's identity and Saul Panzer then doing his usual effective field work) and the presence of Hattie. Her tendency to call Archie "Buster" and Wolfe "Falstaff," combined with her eccentric behavior and unique sense of honor makes her a delight. It's is indeed very possible that she works best as a one-off character, but I still kind of wished we had seen more of her. An Android with a Splitting Headache. Over in the DC Universe, the various heroes are scattered acorss the U.S., usually in cities such a Gotham or Metropolis that only exist within that universe. In the Marvel Universe, the heroes mostly congregate in New York City, so its not that much of a stretch that Spider Man was pretty much stumbling over another character every month in the pages of Marvel Team Up. 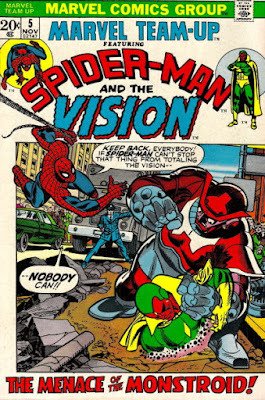 In MTU #5 (November 1972), the webslinger stumbles across Vision, who is apparently having a really bad night. The story, written by Gerry Conway and drawn by Gil Kane, is an entertaining and unusual one. Vision is having sudden and unpredictable attacks of seizures and blinding headaches. He doesn't want to go to the Avengers because of some angsty stuff he's going through in concurrent issues of the Avengers. That's a weak excuse, by the way. In the Avengers, Vision is going through a sort of identity crisis because he's not a human being, but refusing to go to his teammates when he so obviously needs their help isn't just angst, it's just dumb. But, dumb or not, Spider Man is the only one around to help him. Spidey realizes that an intangible ally makes it easy to break into a hospital, where he uses some jury-rigged equipment to find out a mysterious signal is superimposing another set of brainwaves onto Vision. The source of that signal is traced to the Baxter Building--the headquarters of the Fantastic Four. I like this part of the story. Peter Parker is a budding brilliant scientist as well as a superhero and it's always nice when a story remembers this and incorporates Peter's smartypants tendencies into the plot. We soon find out that FF villain Puppet Master is inadvertantly responsible for the Vision's woes. While hiding out in a remote cabin, he saw an alien ship crash. From this wreck he recovers a powerful robot. He makes a puppet of the robot to gain control over it, then begins to use it to take revenge on the Fantastic Four. The robot barrells through the building's security, but Puppet Master is disappointed to find out there's no one home. It's at this point that Spidey and the Vision show up. I've always enjoyed Gil Kane's art work, whom I believe never drew an uninteresting panel in his life. The fight between Spider Man and the robot, in which the webslinger barely holds his own, is entertaining and exciting. Vision isn't much help at first. The headaches and seizures come whenever Puppet Master is actively controlling the robot, so he's pretty useless at first. But when he sees Puppet Master and figures out what's going on, he pulls himself together long enough to destroy the puppet. The robot then deactivates and collapses. 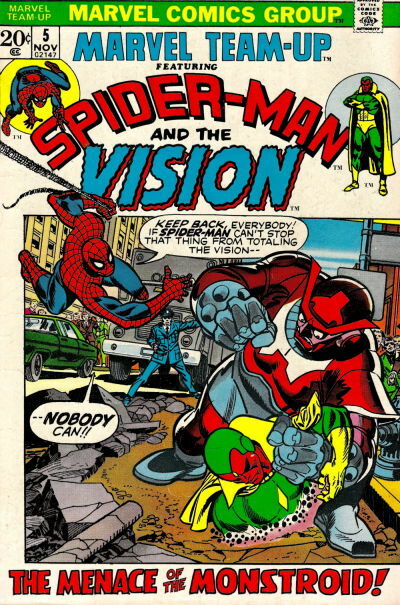 So Vision is now all better and he soon flies off, leaving Spidey behind in the Baxter Building with a damaged alien robot and an unconscious supervillain. What will the FF say when they get home? We'll find out next week, since the next issue is a direct continuation of this one. This particular issue is fun. Conway's scripts were too dialogue heavy at this early point in his career, but he was still producing great stuff. The plot makes sense within the confines of Comic Book Logic and I really did enjoy seeing Peter Parker being able to use his science skills.